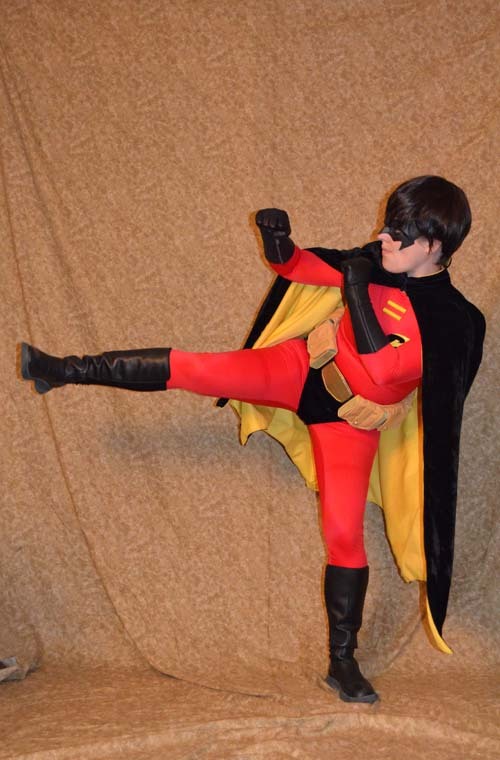 Just in time for Halloween... Tim Drake's version of Robin! Yes, I AM a girl under there... I'm wearing a body shaper to reduce my curves and I'm sucking in my cheeks a little to give me a more male jaw. 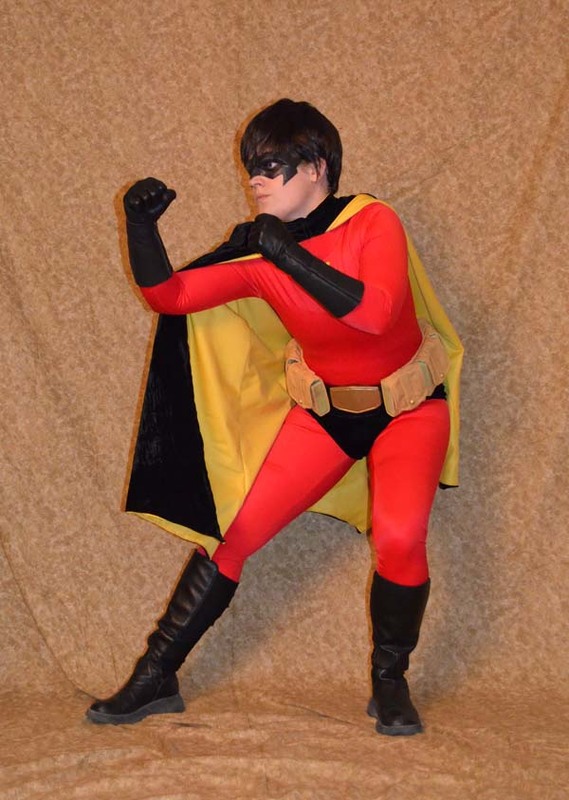 I made everything but the belt and the mask on this costume. 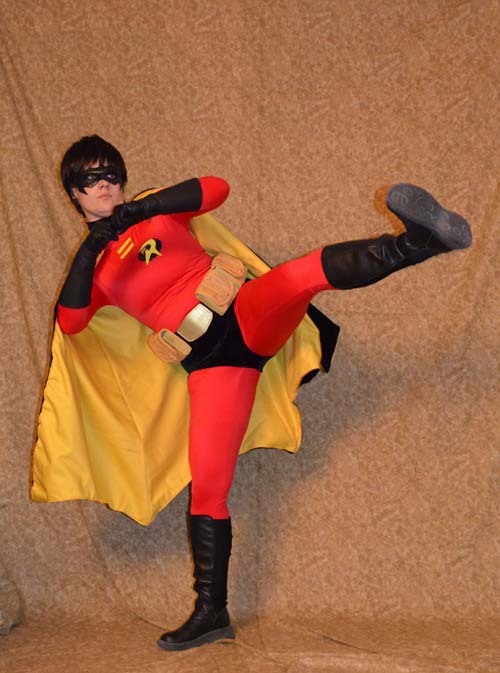 Trying to time kicks with the camera on a timer is hard work! Scar Lion King Musical... sculpting!